Use Orders Detail View to enter basic information for the selected order. A unique Order # is generated automatically upon order creation. Users may change the field if necessary. 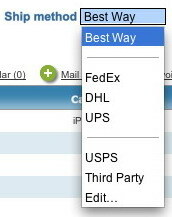 If your company operates more than one Brand, select the appropriate brand from the drop down list. A unique Serial No is generated automatically upon order creation. To change the sales rep associated with the order, click the Arrow button next to the Our Rep drop down list. The names in the list are a product of the specified Brand. Customer information like Customer #, Company, Name, Address, etc. is populated automatically upon order creation. Select a shipment method from the Ship Method drop down list. Users may add additional Ship Methods if necessary. Click the Edit... option in the drop down list. In the Edit Value List dialog box, type each method on a separate line in the order you would like them to appear and click OK. The Date is generated automatically upon order creation. Set the order's status using the Status drop down list. The Invoiced and Paid fields are generated automatically using values in the related Invoice. The Order Items area displays product information for the order, like quantities and prices. To add a new item click New in the Items tab. 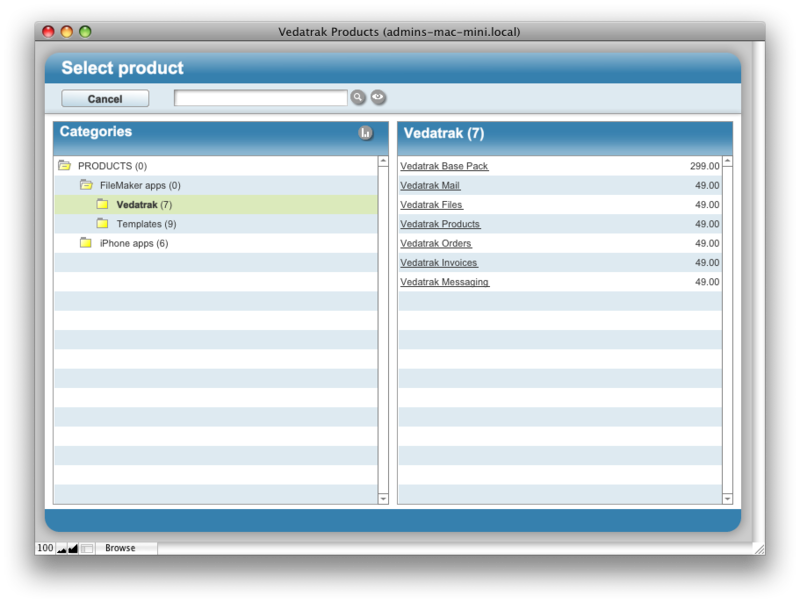 If the Vedatrak Products is installed, the Select product window appears. You may select an existing product from the product catalog. Click the Delete button to delete the item. Note: An item may not be deleted if it has been Invoiced. Sales Total is calculated automatically as the sum of all order items. Discount is generated automatically upon order creation using the customer's Discount value. To disable Discount, click the corresponding check box. Subtotal is calculated automatically using Sales Total and Discount. 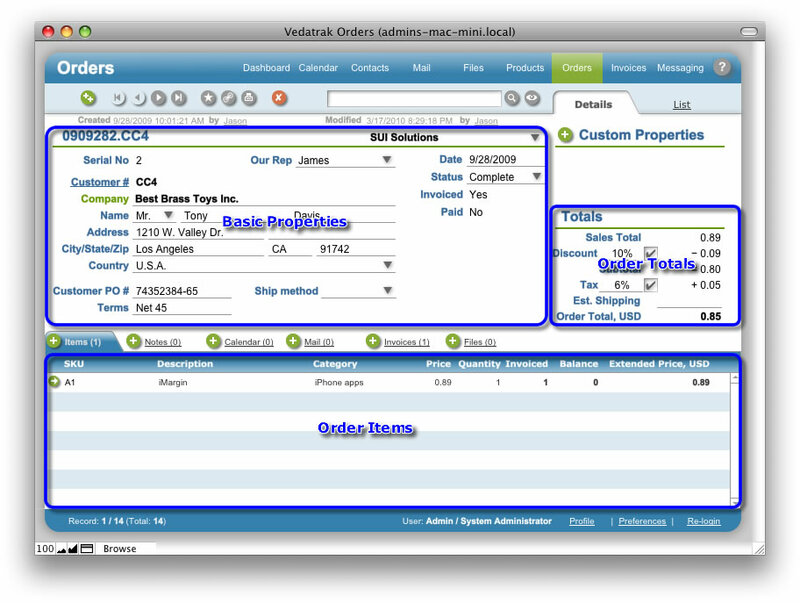 The Tax field is generated automatically on order creation using the Tax field from Orders Preferences. You can disable Tax by clicking the corresponding check box. Use the Est. Shipping field to enter the shipping charge.